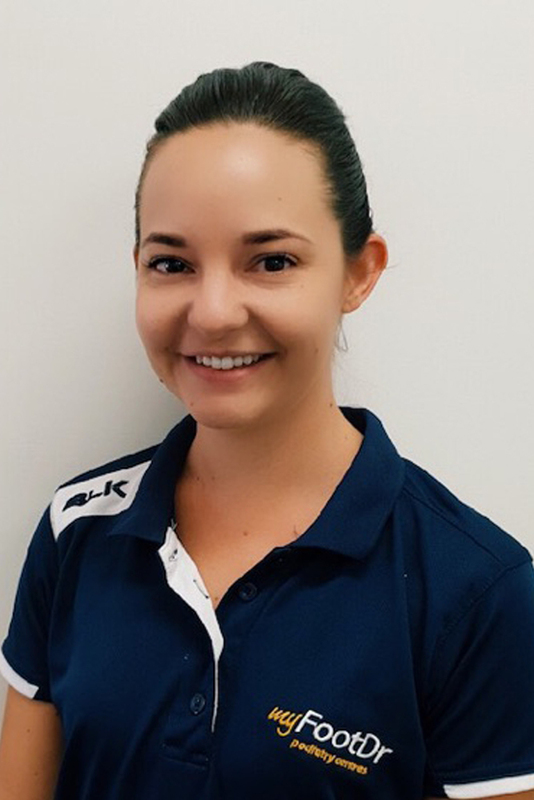 Christie graduated from the Queensland University of Technology in 2012 and started her podiatry career with my FootDr at the Fortitude Valley and Brisbane CBD clinics. She has also spent some time working in the aged care industry. Christie has since moved back to her hometown of Mackay and can be found part-time at the Mackay My FootDr clinic. Christie enjoys all aspects of podiatry, with a special interest in lower limb biomechanics and orthotic manufacturing. Christie regularly improves her clinical knowledge and skills by regularly attending seminars, conferences, and workshops. She is an active member of the Australian Podiatry Association (QLD) and the Sports Podiatry Queensland Group. In her spare time, Christie enjoys fishing, photography and spending time at the beach with her two dogs.